--To want to take the kids to see Hotel Transylvania 2. We'll probably wait a few weeks until it gets less busy. If you go when it first opens people bring in their irritating kids and don't tell them to sit down. --To like the show Life In Pieces. It's pretty funny. --To think the Pope is a nice man but be happy that he's going home. I was getting irritated when my programs kept cutting in to the news to show the Pope whenever he moved. --To be taking Natalie to the grill out at her school on Thursday. I've avoided it in the past because...too many people. But this time I've agreed. And it means I don't have to cook dinner. Omgosh Hotel Translyvania 2 looks so cute! The first one was adorable. We used to live in Philly and I am glad we don't anymore because it would've been a nightmare trying to get around while the Pope was there. Yeah the Pope coverage got a little crazy, it was on every channel. 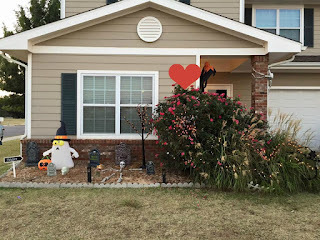 They take your decorations? That is terrible! Ohhh! The little ghost is adorable!!! I want to see Hotel Transylvania 2 too. I'm thinking we may try to see it in a matinee it seems those are usually calmer. Donald Trump annoys me. He is the most pompous man I've ever seen. I hate how he treats women. I don't care how rich he is you couldn't pay me enough to date him. I almost vaguebooked and vague blog posted. But I decided to wait until I could just say it. Its killing me, but its better that way. oh look I just vague commented. I'm sorry. I'll tell you if you promise not to tell lol. I may have some big work news but I have no details yet. Just a feeling. I need to get my Halloween decorations up this weekend. Love yours. i got my fall stuff up! 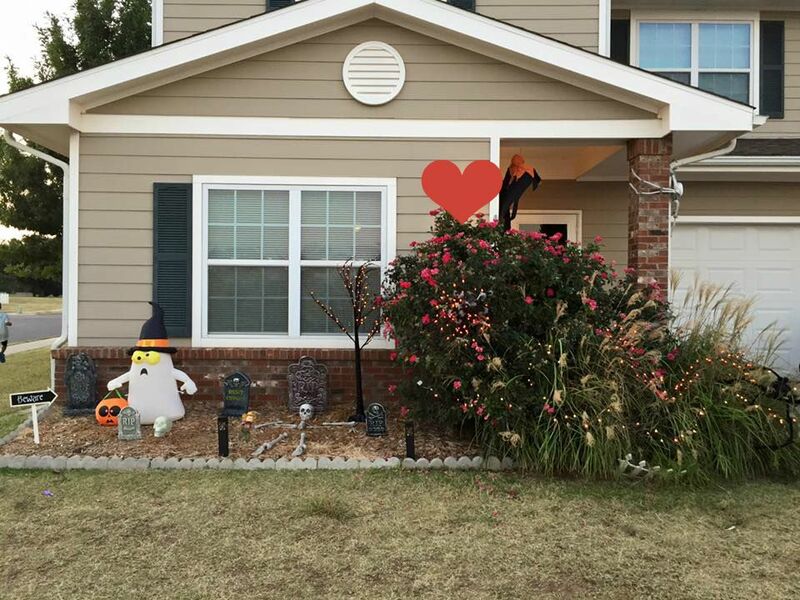 i wish i had a yard to decorate for halloween!! I'll have to check out Life in Pieces. I have so many shows to watch as it is, and it's not even a lot compared to other people I know. Life in Pieces makes me laugh! There's a few good new shows this year. That reminds me that I wanted to watch Life in Pieces. How could I have forgotten to tape it?? Not cool.